Asian stocks steadied on Wednesday and the dollar held firm as investors awaited the Federal Reserve's policy decision later in the day for more clues on its tightening plans. The Fed will conclude its two-day meeting later on Wednesday, and is widely expected to keep interest rates unchanged. With a rate hike not in the picture this time, the focus will be on the Fed's statement, with markets looking for signs of when the central bank will begin paring its massive bond holdings and next raise rates. Its statement is expected at 1800 GMT. Federal funds futures implied traders saw the chance of a Fed rate increase in September at about 8 percent and a December hike possibility at 48 percent. A more assertive policy message by the Fed, on the other hand, would likely lift U.S. yields and boost the dollar. The dollar regained some ground against major currencies in the previous session after U.S. Treasury yields jumped the most in almost five months in response to Wall Street's rise and on reduced demand for safe-haven bonds. But the greenback remained hobbled by uncertainty about the progress of healthcare reforms and the prospect of further delays for President Donald's Trump's ambitious stimulus and tax reform policies. U.S. Senate Republicans narrowly agreed on Tuesday to open debate on a bill to end Democratic President Barack Obama's signature healthcare law, but it still faces significant hurdles. Indeed, the first of many expected votes this week on repealing or replacing elements of Obamacare failed to get the 60 votes needed for approval Tuesday night. The dollar has also been kept in check by political uncertainty as lawmakers investigate possible meddling by Russia in the 2016 presidential election and whether there was any collusion by Trump's campaign. The euro was effectively flat at $1.1639, pulling back from a two-year high of $1.1712 hit on Tuesday on a stronger-than-expected German Ifo business survey. Expectations that the European Central Bank would begin phasing out its easy monetary policy sooner rather than later have supported the common currency this month. The Federal Reserve is expected to hold interest rates unchanged on Wednesday and possibly hint that it will start winding down its massive holdings of bonds as soon as September in what would be a vote of confidence in the U.S. economy. The U.S. central bank will issue its latest rates decision following the end of a two-day policy meeting at 2 p.m. EDT. Economists expect the Fed's benchmark lending rate to remain in a target range of 1.00 percent to 1.25 percent. That would mark another pause in the monetary tightening campaign that the Fed began in December 2015. The central bank has raised rates twice this year, including at its last policy meeting in June. Wall Street analysts see little chance the Fed will announce the start of the wind down of its $4.5 trillion balance sheet. However, the Fed's policy statement may provide more visibility on when that might occur. After pushing rates nearly to zero in a bid to boost investment and hiring, the Fed pumped over $3 trillion into the economy through purchases of U.S. Treasury securities and government-backed mortgage debt to further reduce rates. That program drew criticism from Republican lawmakers in Congress. The subsequent economic recovery, marked by strong and steady job gains, has pushed the U.S. unemployment rate to 4.3 percent, near a 16-year low. Fed policymakers have said labor market strength could eventually push inflation too high. The Fed recently signaled it would begin to trim its balance sheet this year. Yellen said earlier this month that process could begin relatively soon and economists polled by Reuters expect the announcement will come in September. Oil rose 3.3 percent on Tuesday to the highest close in more than a month, a day after U.S. oil producer Anadarko said it would cut capital spending plans and Saudi Arabia vowed to reduce crude exports to help curb global oversupply. The lower oil prices in June and July may have been affecting U.S. shale production, said Mark Watkins, regional investment manager at U.S. Bank. On Monday, Anadarko Petroleum Corp posted a larger-than-expected quarterly loss and said it would cut its 2017 capital budget by $300 million because of depressed oil prices, the first major U.S. oil producer to do so. Earlier, Halliburton's executive chairman said growth in North America's rig count was "showing signs of plateauing." At a meeting of the OPEC and non-OPEC producers on Monday in St Petersburg, Russia, Saudi Arabian Energy Minister Khalid al-Falih said his country would limit crude exports to 6.6 million barrels per day (bpd) in August, down almost 1 million bpd from a year earlier. Nigeria agreed to join the deal by capping or cutting its output from 1.8 million bpd once it stabilizes at that level. OPEC said stocks held by industrial nations had fallen by 90 million barrels in the first six months of the year but were still 250 million barrels above the five-year average, which is the target level for OPEC and non-OPEC members. U.S. crude stocks fell sharply last week as refineries boosted output, while gasoline inventories increased and distillate stocks decreased, data from industry group the American Petroleum Institute showed on Tuesday. Crude inventories fell by 10.2 million barrels in the week ending July 21 to 487 million, compared with expectations for a decrease of 2.6 million barrels. Both benchmarks rose more than 2 dollars after the data in post-settlement trading. Gold closed down Tuesday on and made its intraday high of 1257.60/oz and intraday low of US$1248.96/oz. Gold up by 0.407% at US$1249.74/oz. In daily charts, prices are above 200DMA (1231) and breakage below will call for 1234-1224. MACD is below zero line and histograms are decreasing trend and it will bring downward stance in the upcoming sessions. RSI is approaching neutral region and more upside is expected before it touched overbought region. Stochastic Oscillator is in neutral territory and giving negative crossover to confirm bearish stance for intraday trade. Based on the charts and explanations above; sell below 1254-1289 keeping stop loss closing above 1290 and targeting 1241-1234 and 1224-1216. Buy above 1241-1216 with risk below 1216, targeting 1254-1260 and 1270-1279. Silver closed down Tuesday on made its intraday high of US$16.60/oz and intraday low of US$16.22/oz. Silver settled down by 0.242% at US$16.46/oz. Crude Oil on Tuesday made an intra‐day high of US48.64/bbl and made an intraday low of US$45.38/bbl and settled up by 4.587% at US$48.56/bbl on session close. EUR/USD on Tuesday made an intraday low of US$1.1630/EUR and made an intraday high of US$1.1711/EUR and settled the day up by 0.051% at US$1.1645/EUR on session close. GBP/USD on Tuesday made an intra‐day low of US$1.3006/GBP and made an intraday high of US$1.3083/GBP and settled the day up by 0.030% at US$1.3023/GBP on session close. Based on the charts and explanations above; short positions below 1.3050-1.3380 with targets at 1.2960-1.2900-1.2845 and 1.2790- 1.2700, breakage above 1.3400 look for further upside with 1.3450 as targets. 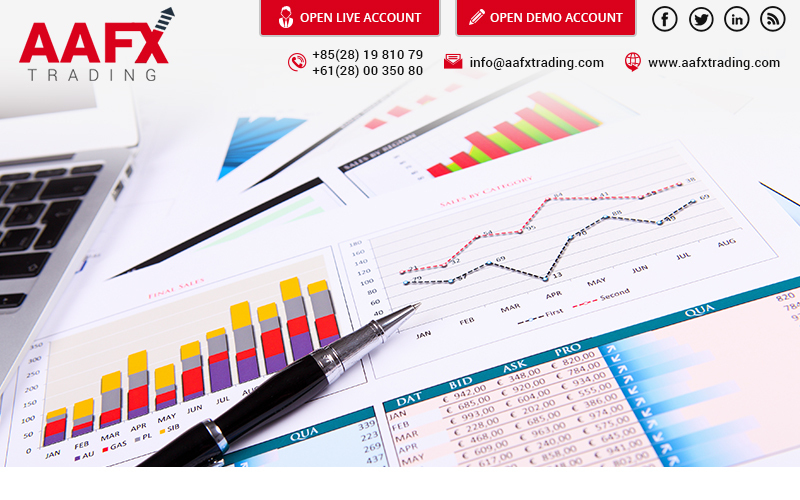 Buy above 1.2960-1.2790 with stop loss closing below 1.2750 targeting 1.3050-1.3160 and 1.3200-1.3380. USD/JPY Tuesday to made intra‐day low of JPY110.81/USD and made an intraday high of JPY111.94/USD and settled the day down by 0.018% at JPY111.07/USD. Long positions above 111.60-109.50 with targets of 112.00-113.00 and 113.95-114.50 with stop below 108.70. Sell below 111.6-114.00 with risk above 114.00 targeting 111.60-110.90 and 110.10-109.5.